The old leadership style was all about the leader being responsible for doing everything: persuading people to be part of their team, hammering out how things had to be done, and supervising them to ensure they were done. It was about fitting people into boxes. 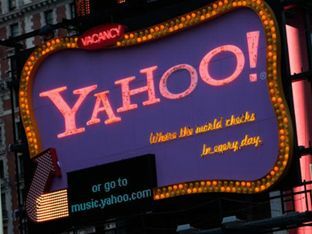 This is no longer the case, according to Pierre Landy, Vice President and EMEA General Counsel, Yahoo. Landy is a speaker at the upcoming marcus evans European Corporate Counsel Summit 2010 in Switzerland. At Yahoo the 21st century leadership style is followed within the EMEA legal team, in which you have to be tough about the objectives you wish to achieve and manage the outcome and the results, not the process, says Landy. “It is all about crafting a vision, a picture of success, which outlines the concrete things that will be happening when you reach the top of your mountain. Jobs must be built around people’s strengths to help the organisation tackle its challenges. “This is a complete reversal of the former leadership role. It is going from an employment to a self-employment mentality, from a place where managers supervise to one where employees manage themselves. The leader’s role is to focus on making the team successful and working well together towards a greater aim. It’s about getting people to volunteer to be part of your team. “A leader in the 21st century is someone who acts as a conductor of an orchestra and is able to make all the musicians play in harmony in order to create a wonderful symphony,” Landy explains. Giving an objective to the team is of top importance and then asking how best they can contribute towards the big goal, he says. The marcus evans European Corporate Counsel Summit 2010 will take place on 26-28 September in Switzerland.